November means it’s time for Peppermint Mocha Lattes and Hallmark Christmas movies (here’s the line up!) and warm socks and holiday baking! Hey, if Starbucks can release their holiday cups, seasonal drinks, and cranberry bliss bars on November 1st, I can certainly add a little peppermint to my life. One thing I am really passionate about is my Young Living essential oils so when I can combine them with my love of food, it’s a match made in heaven. Young Living has a Vitality dietary essential oils line that I love especially for this. Plus only $10 for a 5ml as a member is a great deal since the oil is 100% pure, therapeutic-grade essential oil. But really, it’s all about the taste and judging by how few peppermint chocolate chip cookies I have left (looking at you Joey!) something must be very right. My recipe is listed below for but if you have your own favorite recipe, simply follow it and add 3-5 drops of Young Living Vitality peppermint essential oil. If you want to know more about Young Living, their seed to seal process, and any other questions, check them out here. If you want to become a member, click here and earn your 24% member discount. Oils and Teen Moms and Chocolate, oh my! So I have an IUD. No, I don’t think that’s TMI. Birth control is important and nothing to be embarrassed about and I love my Mirena IUD. The thing is though, I can only tell I get my period when I am acting all hormonal and crazy and get super bloated, how fun! Yes, a perk is nothing gross happens but the downside is I get super hormonal some months. So how did I know today that Aunt Not So Flo is on her way (or at least the symptoms)? Exhibit A: I cried at Taylor Swift’s ACM award speech. I cried during her Mom’s part especially. Exhibit B: I cried watching Teen Mom OG because Catelyn is adorable and Larry, Ryans Dad is amazing. Exhibit C: I ate half a bar of chocolate. Exhibit D: Paige (from work) gave me a tip about putting cream cheese on banana bread. HEAVEN!!! 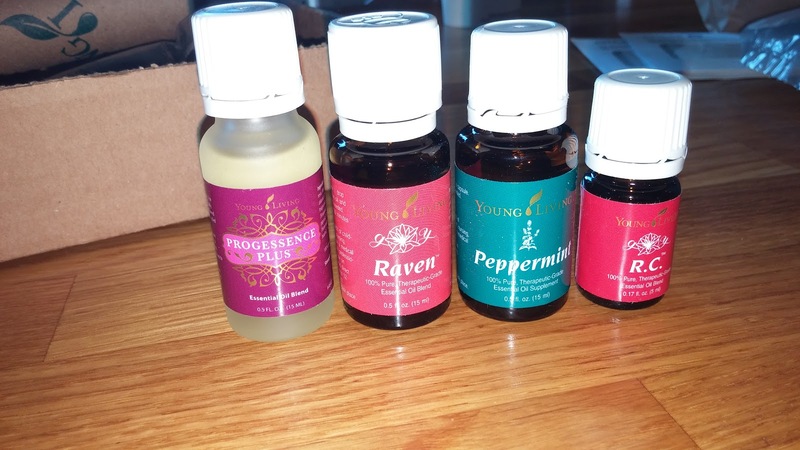 Luckily I got my new order of YL oils last week and I bought Progessence Plus. I had heard it was great for balancing hormones and feeling better so I figured why not give it a try. I put two drops on my abdomen and I am not kidding you, was feeling better instantly. Within 30 minutes all my normal period symptoms were gone. I can tell this is going to be one of my favorite oils. I think Joeys too since it calms me down lol. Although he is pretty partial to peppermint. Seriously though, I am so lucky some Progessence Plus and Teen Moms made the night better. Seriously, Ryan’s parents are so nice and Gary the Hairy Fairy is disgusting. I love seeing the 4th wall broken and getting to enjoy the full experience. Don’t knock the show until you’ve tried it! What do you ladies do when you’re feeling under the weather and cursing Eve for eating that damn apple? Guys- any tips you know from the ladies in your life? So everyone who cooks at home has a few things they always have on hand and use on a regular basis. When you’re a beginner, you start with a few basic spices and accessories and then add as you go along. So now that I would say I am an intermediate home cook, I have definitely figured out what my staples are. Garlic (fresh and powder)- The rule in our house is that you can never have too much garlic. Plus, if we’re both eating it then it we don’t even notice when we kiss. Garlic taste good in pretty much everything and has so many great health benefits! Adding more flavor to my food and not using any fattening or high calorie sauces is great. We use mostly fresh garlic and I throw it in my ninja and 5 seconds later, fresh chopped garlic. When it’s for eggs I tend to use the garlic salt. Garlic taste great in burgers, cauliflower mashed potatoes, steak, eggs, etc. 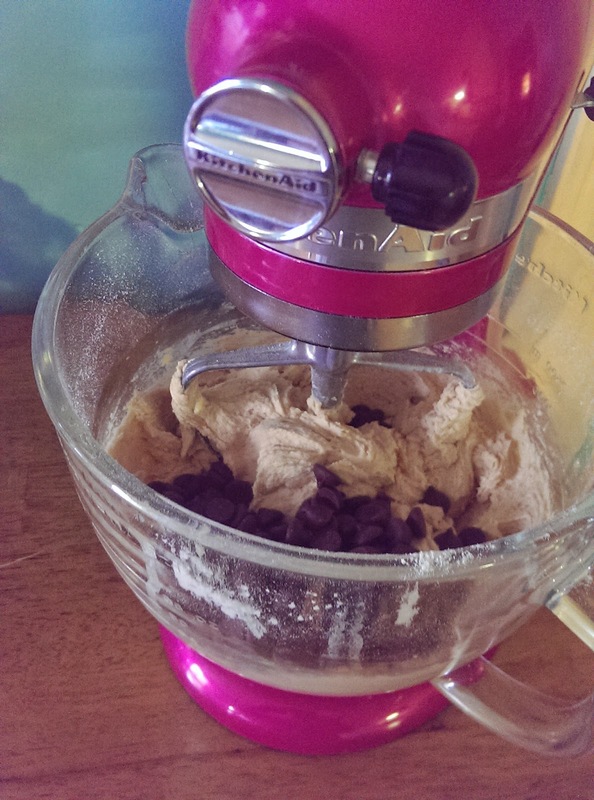 Kitchen Aid Mixer-Really any mixer will do but there is just something about owning a Kitchen Aid mixer. I got mine about a year and a half ago as a birthday gift and I am obsessed! Joey got mine from Williams-Sonoma in Raspberry Ice. I use it for cookies, pie dough, banna bread, whipped cream, dips, etc. It makes life a million times easier and has so many awesome attachments. I want the meat grinder next but that will wait until we do a meat CSA and get a freezer. Food Processor- I have the Ninja Pulse and am obsessed! It’s funny because I didn’t use it that much when I first got it and now we use it daily. I use it for chopping garlic to making pesto to making smoothies and even almond butter. With the different attachments it comes with and then the little cup for single serve smoothies/juices, it is a life saver. It is easy to clean, store, and makes prep work a dream. We used to spend forever chopping garlic and doing everything by hand and now it’s all done in a matter of minutes. Averaging about $80, it is a great investment! Spices-I know I already mentioned garlic but there a few more spices that are great to have in your arsenal. Besides, it usually takes a while to go through this and they last a long time so it’s not much to invest in great flavor. So try to always have: (himalayan) salt, pepper, paprika, oregeno, chilli powder, and onion powder. Depending on what you like, don’t forget basil or rosemary. 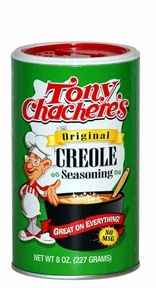 Tony Chachere’s Original Creole Seasoning- This is my new favorite staple hands down!I know a lot of people are really into FlavorGod seasonings and I will probably check them out but I don’t think they can beat Tony’s amazing spice blend. No MSG, just a delicious mix of spices to adda kick to any meal. I love it on chicken or in my eggs and I have been adding it to my burgers to make a fabulous dish. We started using Tony Chachere’s for the deep fried turkey on Thanksgiving and now I am hooked. Oils (including Essential Oils)-Keep Olive oil and coconut oil on hand, and even some vegetable oil. I don’t like spray in my pans, why have the extra chemicals when you can use olive oil? As for essential oils, they are great for cooking as well. I love using peppermint for baking or adding a little lemon or rosemary to a dish. Pure and simple and a little goes a long way. 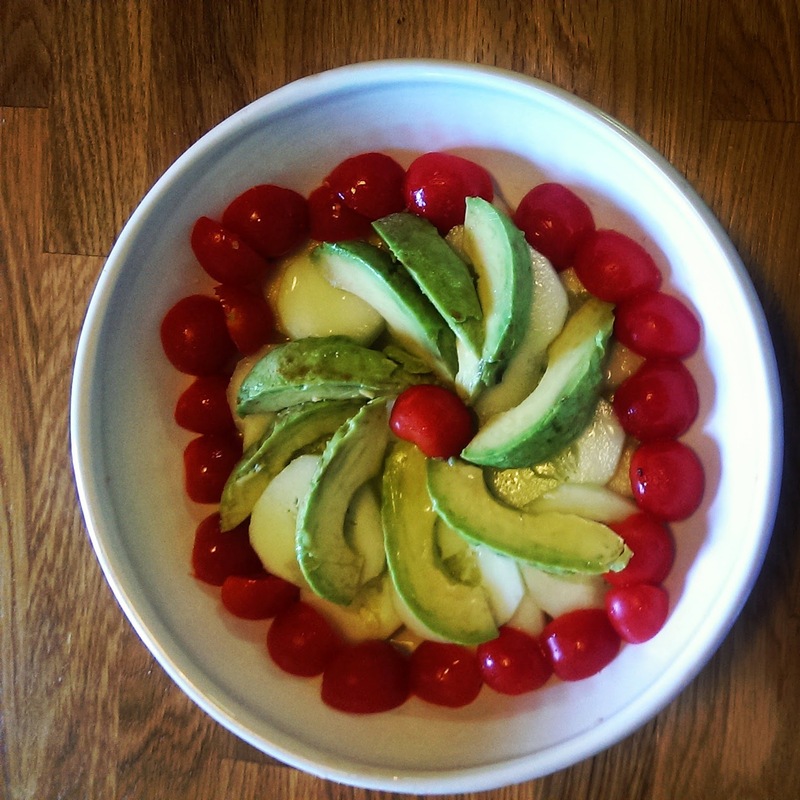 The great thing about cooking at home is that you can experiment and try new things and not worry about being judged. Unless you’re a home cook on Master Chef, then good luck! I like being able to find healthier alternatives to some of my favorites meals so cooking at home really helps with that! I know my friends Samantha and Michelle love their immersion blenders and make great soups so that’s on my want list. I also want a new spice rack to hold all the fun spices were acquiring. So what are your kitchen staples? What are your ‘must have’s’ to cook with?